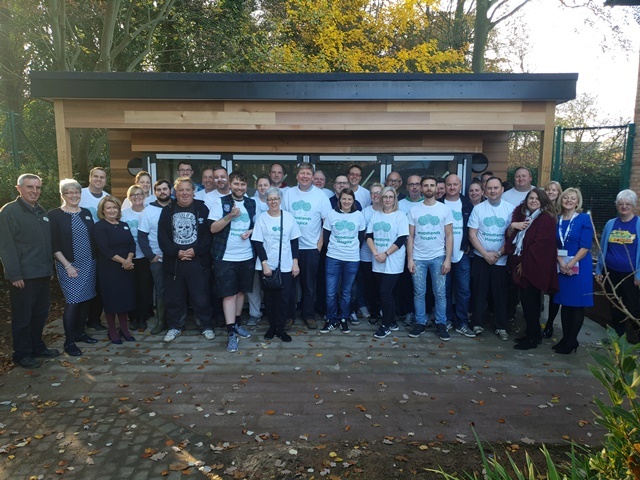 A fabulous team of over thirty volunteers from Sainsbury’s Argos kindly visited Woodlands on Thursday 15th November to bring our gardens and surrounding paths back to their former glory following the recent ‘Pavilion’ building works. The Hospice is putting the final touches to the new ‘Pavilion’ ready for its grand opening in December when the facility will be handed over to the Family Support Team who will work with the young people who access the Hospice bereavement services in bringing their dream to life! 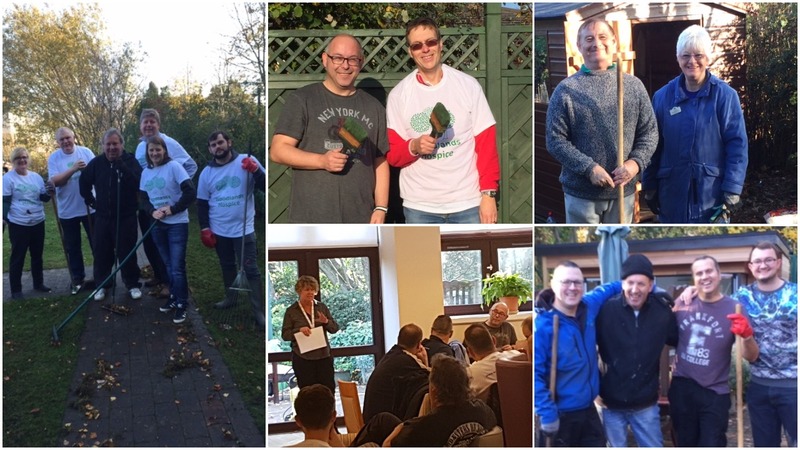 The volunteers, who were all Argos Managers from the Liverpool and North Wales Region stores, spent many hours cleaning, tidying, pruning, and planting to ensure the environment around the Children and Young People’s facility was fully restored and ready for access to the new facility. Woodlands Chief Executive, Rose Milnes, speaking over the lunch period said she was delighted that so many volunteers from across Sainsbury’s Argos stores had chosen Woodlands as their charity to support and how much of a difference this facility and the surrounding gardens and space would make to the young people. 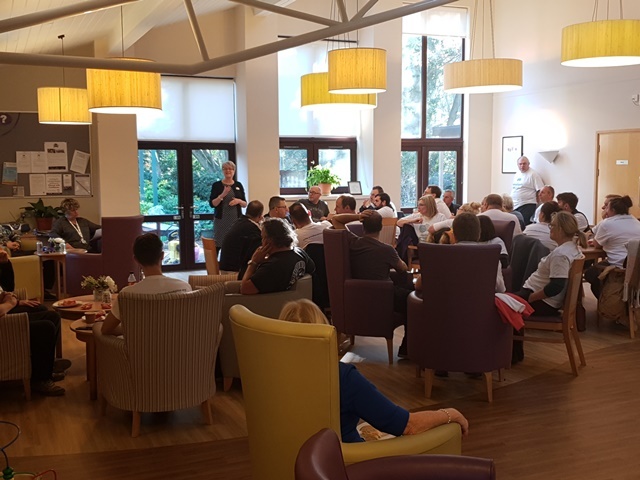 She thanked the whole volunteer team for working so hard and sharing this project with Woodlands giving particular thanks to Ann Woodward, from the Argos Retail Administration Centre for coordinating this voluntary project. The Hospice was also delighted to have received over £750 towards the project raised through fundraising efforts of members of Ann and her team, the Retail Administration Centre. Woodlands relies heavily on the contribution from so many volunteers and wishes to record its thanks to them all.